“The Funniest and Best show in town” The Times. 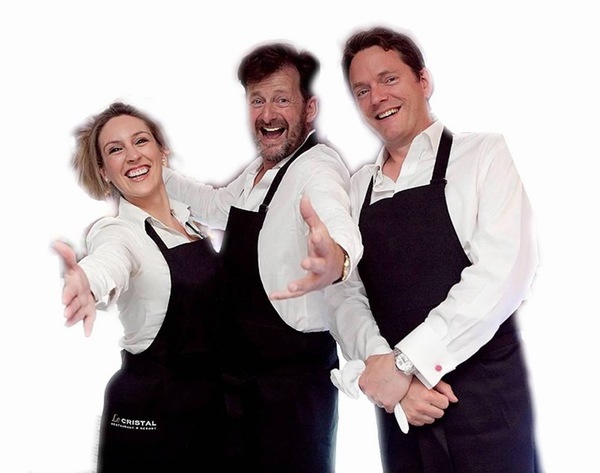 ‘The Singing Waiters’ from Opera on the Run are the Original Singing Waiters performing throughout the UK and abroad for over 15 years. Our Act is uniquely Opera, our singers being taken from leading opera houses, (The Royal Opera House Covent Garden, English National Opera and so on. CV’s can be sent to you by request). We also focus on a light hearted approach, our singers enjoy interacting with you and their routines are hilarious. The performance acts like a catalyst to the evening, by the time we have finished singing to you all the energy in the room will have lifted and people will be filled with a real sense of joy. This works wonders when you then have speeches and so on, and the event will be talked about for years to come. 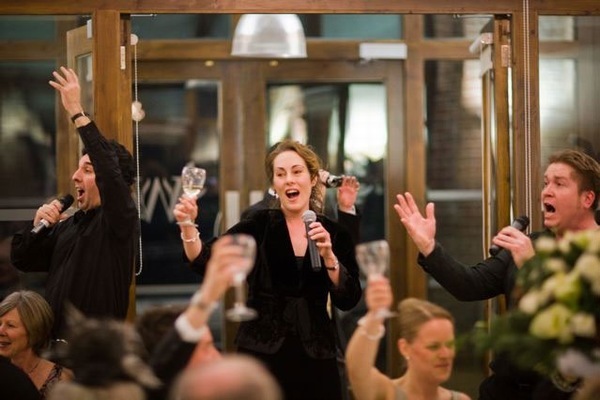 Sometimes one of our Sopranos will disguise themselves as a guest so that when the waiters burst into song, she will leap to her feet, take the microphone and out shine the waiters with a popular aria or epic proportions! ‘To say it was outstanding would be a gross understatement!! It was simply fabulous and exceeded all my expectations. 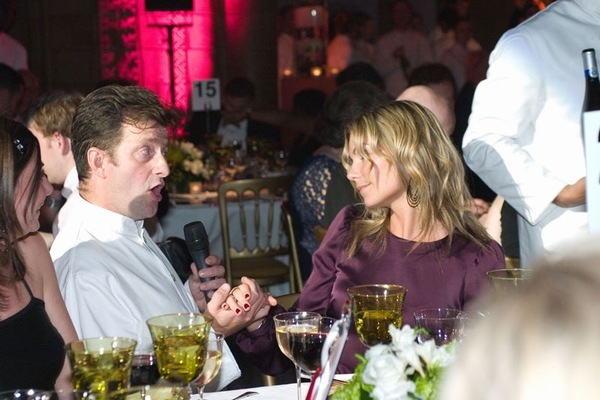 All our guests loved the performance and it elevated our wedding to a whole new level...’ Danielle Brand. Disguised as Policemen our crack squad will arrive at the scene of your incident and your guests will believe them to be the real thing. Guests will be cautioned then, if necessary and required, a particular guest will be arrested. Great pleasure will be taken in apprehending the said ‘felon’ with information given prior to the event by an ‘informer’. Your Guests will be doubly surprised as the Policemen explode into song, with their voices set to stun. The Singing Policemen can also appear as Paramedics. Aphrodite is five beautiful young sopranos, evocatively dressed, who sing an exquisite collage of Pop Opera and haunting classics. Charmingly choreographed, their performance is a visual and exotic spectacular of music and dance. 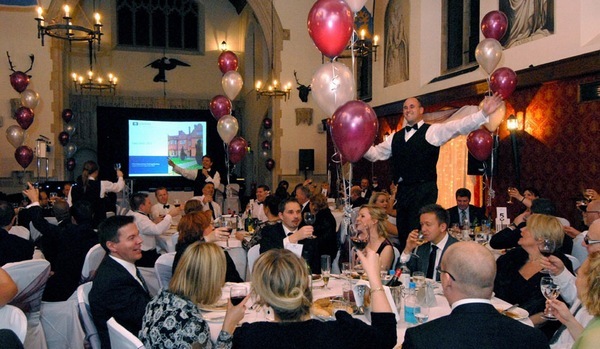 Aphrodite have performed in Cabaret, Corporate events and Stage Shows throughout Britain, Europe and the Middle East. 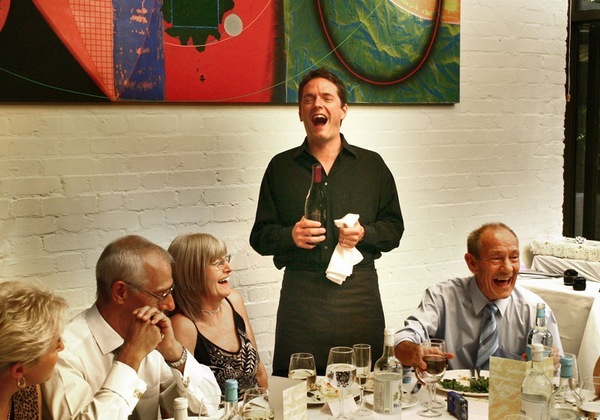 At Opera on the Run we pay great attention to your specific requirements on occasion offering bespoke performances with great charm, humour and wit. Tim Armstrong-Taylor, one of the Directors of Opera on the Run, can write specific lyrics if required. His credentials in this field include writing librettos and comic songs some of which have been used by English National Opera. 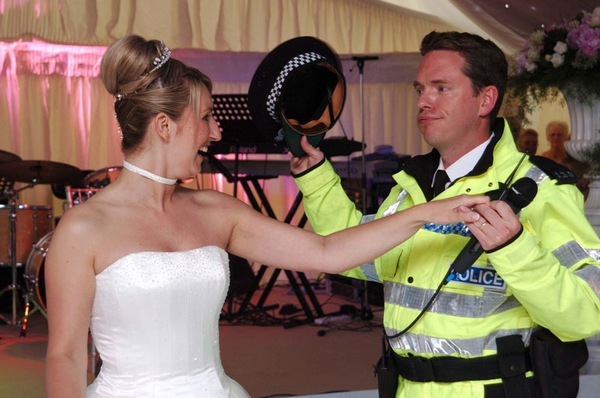 Whether you choose The Singing Waiters, The Singing Policemen, Paramedics or Hidden Guests, Opera on the Run will help make your event truly memorable leaving you on high note!